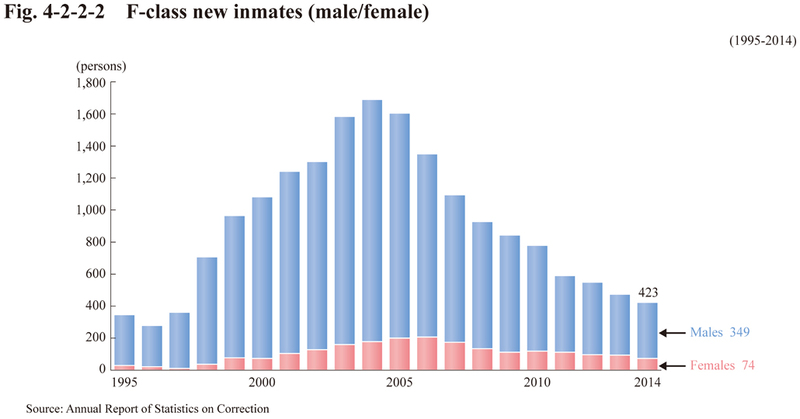 The number of new foreign national inmates was 840 in 2014 (Source: Annual Report of Statistics on Correction). Foreign national inmates who require different treatment from that of Japanese inmates are categorized as F-class. Fig. 4-2-2-2 shows the number of new F-class inmates. (See Appendix 4-6 for number of persons by nationality).